Yeah I remember the Motor City Theatre. I guess it was the 1950's and my parents would drop me and my friends off for the Saturday matinee. It was noisy and everybody was there to see your friends, eat candy and have a blast over the cartoons. I went there for the Sci Fi flicks and the occasional adventure thriller of the day. I remember they would run news reels and some ancient adventure serials. My favorite was Comando Cody and Flash Gordon. The flying suit was a boy's dream and I thought Ming the Merciless was the coolest dude since our next door neighbor. I wasn't into roller skating because of a fractured I experienced from a roller skating accident. So I don't remember the conversion of theatre to a skating rink. Across 9 Mile Road from the theatre was the Motor City Jewelers. That store had a monopoly on the class ring business. I still have mine as a mid '60s graduate of Lincoln HS. After graduation I attended WSU, did a stint in Viet-Nam and then completed graduate work in Molecular Biology. Although I made my home in Canada I return on occasion to see how my old neighborhood has changed. Although much is different but enough remains to help me locate various landmarks from my younger years. Yes. I do remember The Big Boy just south of 9 Mile Rd & Van Dyke. As I recall, the Big Boy sandwich was about. 55 cents back in approximately 1959!! My parents would treat us occasionally and we thought that was pretty neat. I loved going there. Very fond memories of The Motor City Theatre and also when it became the Roller Skating rink. I remember seeing Old Yeller, Tonka, and Bambi there. I also went to it several times when it became a Roller Rink. We lived on Lozier just north of 9 Mile Rd. Lots of great memories living in those less complicated times. I also recall a Theut''s Toy Store (SP??) on Van Dyke and Lozier and remember I got my first hula hoop there! Those were the days. I remember as a young lad when this theater was built. Also saw it demod. The last movie I viewed was African Queen. I remember because there was a small fire up front near the screen. Nothing serious, and we did not have to exit Anyone remember Big Boys just south of 9 mile? Went there many times after school at Lincoln H.
Starting in 1960 thru 1962, I worked as doorman at the Oakdale theatre in Hazel Park, & because the Motor city, Ryan, & Oakdale theatres were all managed by Schultes theatres co. the district manager who came by every tuesday night to check all of the theatres out, would ocassionaly bring us free passes to the two theatres The Ryan & Motor city. I can remember on two ocassions he also gave us all free passes to go to the Fox theatre. I cannot remember his name, but he drove a beautiful black 1958 Buick hard top, that was always shined & polished. More info about the old Motorcity Theatre/Roller Rink, We have a couple of photos from the first Lincion High School Commencments held there at the Theatre in 1942 this leading us to believe the Theatre also opened that year. According to the City of Warren assesers records one of the original owners were Schultes Theatres 921 Fox Theatre Bldg Detroit, 1 Mich. Leading us to believe that at one time Motorcity & the Fox Theater in Detroit were once owned by the same companies, The Theatre phone # was SL7-0646 The Owner/Operator of the Motorcity Roller Rink was Eddie Hakim with the Roller Rink/Building closing in 1986 there phone # was SL4-5900 http://guarnieri. 9/11/2004 - D. Willhite Jr.
That pharmacy was called Sussex Drugs. I recall the roller rink/theatre not only from my memories but also from my fathers recollections as well ,since we are both life-long residents of south Warren. The Motorcity Theatre/Roller Rink, In The Early 1940s to 1961 was The Most Prestigious Movie Theatre In The City Of Warren Michigan. 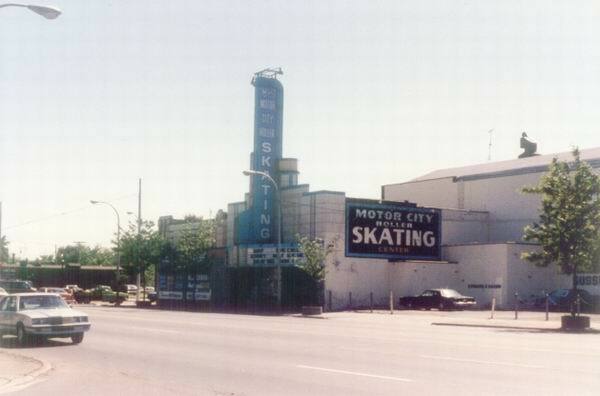 Later It Was Transformed Into The Motor City Roller Rink which opened On January 13th 1961. The Last Public Open Skate was on June 15th 1986. There was a final auction Of the property and contents On June 28th 1986. Shortly after the building was torn down, a strip mall, & fast food restaurant were constructed and completed in November Of that same Year. We are currently reserecting this lost treasure at this site. 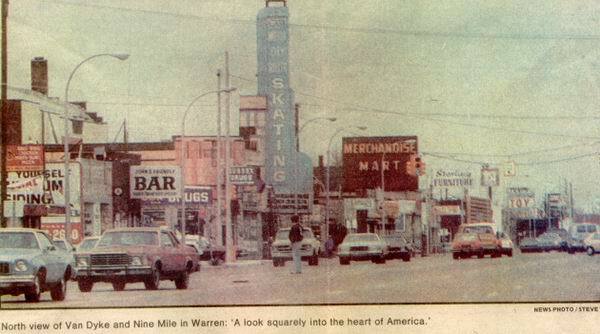 Motor City Theater was not on Nine Mile Road, it was located on the N/W side of Van Dyke, 1/2 half block North of Nine Mile, its address was not a 9 mile address. It had a Van Dyke address, and even if it was on Nine Mile its address couldnt possibly have been 8120, it would have been a 7000 number. I worked in the Warren Post Office across the street for 20 years. so I know those street numbers. I would say the address was probably 23045 or something close to that. That Burger King now sits on the site of a Pharmacy and Motor City was just North of it. I cant remember the name of that Pharmacy. 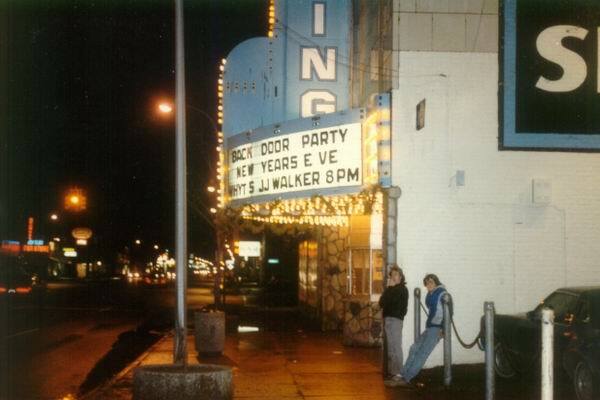 The Motor City Theatre in Warren was eventually converted into the Motor City Roller Rink, which also hosted punk and rock bands until its demolition in the mid-1980s. A Burger King now stands in its place.